We believe that education is the master key to development . This is why it’s placed in the topmost column of our development agenda. 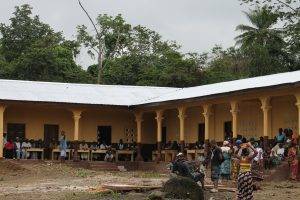 Construction of the Matakan Community Primary School (MCPS) which is currently accommodating more than 90 children from Matakan village and its surrounding in Niawa chiefdom, Kenema district, is a glaring example. The project was co-funded by the German Ministry of International Cooperation and Development (BMZ), Fambul Tik e.V. and YAD. It entails 5 standard classrooms, office, library, staffroom, store, furniture, toilettes and water-well. Since the school is not yet assisted by the central government, YAD and partners are paying the teachers and providing uniform and learning materials for the children. The Paramount Chief, Madam Mariama Jaward Tamia III and her deputy, Chief Momoh Yarja, officially awarded the staff and management of YAD during the formal opening ceremony of this school in recognition of their exceptional contribution to post conflict development efforts of the Niawa Chiefdom community. The historic event was attended by series of dignitaries including the Deputy Mayor of Kenema city, Senior District Officer of Kenema, town chiefs, section heads and women's groups of Niawa chiefdom. In our quest to concretize peace, good governance and security in our community, we were able to partner in the year 2013 with the United Nations Alliance of Civilizations (UNAOC) which is based in New York. With UNAOC’s Youth Solidarity Fund 2013, YAD was able to implement for the first time in Sierra Leonean history, a Youth Sensitization Campaign against Ethic Based Polices, Religious and Cultural Discriminations. The project created three solid heterogeneous youth groups in the three political zones of Kenema municipality with more than 500 membership. The project also led key YAD staff to participate in further capacity building trainings in Istanbul, Turkey and Casablanca, Morocco and to showcase their success story at UNAOC organized summer schools in New York in the years 2014 and 2015 respectively. 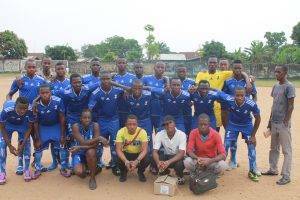 The goal of this project was to forester sociocultural cohesion and friendly coexistence among the youth in Kenema municipality while changing their mind-set about the national politics using sport as a magnet. Key activities included series of sensitization workshops, coach training, outreach programs, symposiums, community drama, open campaigns and youth cohesion sport tournaments. World hunger indicators are constantly showing that majority of Sierra Leoneans are unable to afford a basic diet and have difficulty meeting immediate needs in terms of food, shelter and clothing. Ironically, a large proportion of the youth and women who have no skill know-how or employable education are currently heading many families in the rural areas. This group has difficulty saving or investing in the future and remains chronically trapped in poverty, thereby undermining their participation in local decision-making, access to productive resources and services and opportunities to integrate into market systems. This is the group we have been focusing on with our agricultural projects. Titled “Agriculture and Food Security for Youth and Female Headed Households in Matakan and Nongowa Villages”, our recent agriculture project targeted 65 farm families with more than 300 dependants. The funds arrived at the pick of the just ended Ebola outbreak in the country and it provided job opportunities for many underprivileged youth including girls. Co-funded by Fambul Tik e.V. 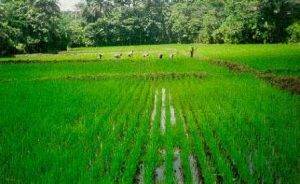 and BMZ, this project cultivated more than 60 acres of inland valley swamp (IVS) and it provided seed rice, tools, protective gear, grain store, dry floor and a modern rice miller for the community. The project didn’t only ensure food security for the beneficiaries, it also reduced labor for women and children who are permanently responsible for preparing the daily meal for every Sierra Leonean household. The Ebola virus didn't only claim thousands of innocent souls across the country, including youth, women and children, it also exposed our country’s abysmal health services. The lack of proper knowledge about the disease and adequate facility to handle it at the onset led the outbreak to overwhelm the eastern region before the central government could realize it. Consequently, the government had to quarantine the region for almost a year, forcing many CBOs, NGOs and business enterprises to park and leave the region. But unlike YAD and its German partners, that was the time they went into full swing campaign against the virus and other killer diseases. 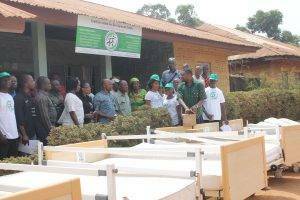 As a result, we were able to bring in a 40 feet container worth more than 50 thousand Euros, full of emergency medical products, hospital beds and mattresses which were delivered to Kenema Government Hospital and many Peripheral Health Unit (PHUs) in Malegohun and Niawa Chiefdoms in Kenema district. We remained in full operation throughout the outbreak and we even delivered more medical products to other PHU’s in Nongowa, Langurama and Small Bo chiefdoms after the outbreak. 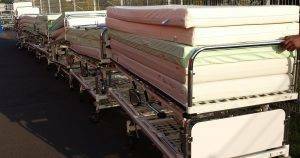 The medical products were donated by various hospitals and clinics across Germany prominent among which were the Martin Luther Hospital of Berlin. The shipments were coordinated and funded by Fambul Tik e.V. and German Federal Ministry of Economic Cooperation and Development (BMZ). 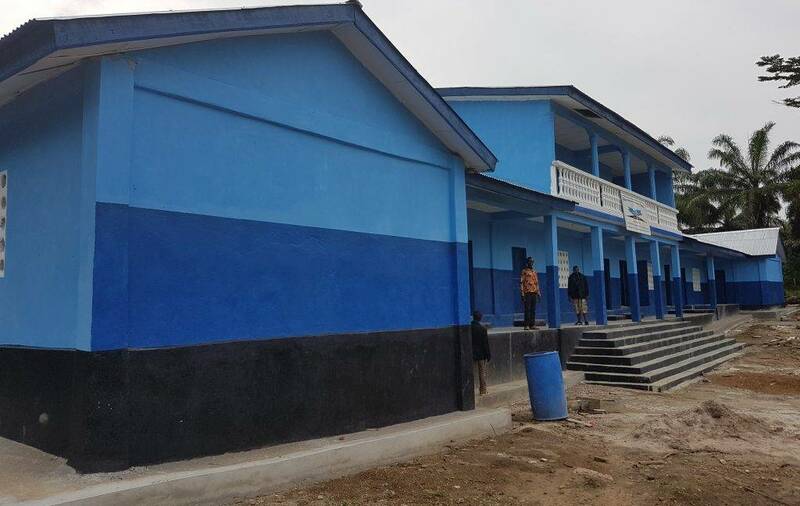 In pursuit of our campaign against unaffordable education for every child in constituency 017, we prioritized the Niawa Chiefdom Secondary School (NCSS) construction project as one of our post Ebola recovery projects in the region. Co-funded by BMZ, Fambul Tik e.V and YAD, the project is constructing a standard secondary school at Gandorhun town with 6 classrooms, library, office, staffroom, toilettes, store, water well, furniture and solar light. Our feasibility studies shows that the chiefdom is performing very awful in terms of education, and the lack of good educational infrastructures, habitable accommodation and adequate incentive for teachers are some of the major causes. Though there are some primary schools in strategic villages across the chiefdom, but the lack of secondary schools in the chiefdom forces children to walk several miles to neighbouring chiefdoms in search of secondary education. The situation becomes even worse during the raining season when they walk in the rains with books under their arms. Most parents normally relocate their children to Blama and Kenema where they usually find it very difficult to live with extended families owing to the high cost of accommodation and feeding in the cites. This situation had forced over the years many potential graduates to fall out of schools immediate they reach NPSE level as their parents pre ferred to retain them as farm labourers. This is the situation YAD has stepped in to remedy with the Niawa Chiefdom Secondary School project. It shall benefit more than 250 youth and children against the year 2020. The construction is now completed and the facility will be officially commissioned in early 2017. Below is pictorial review of the school.